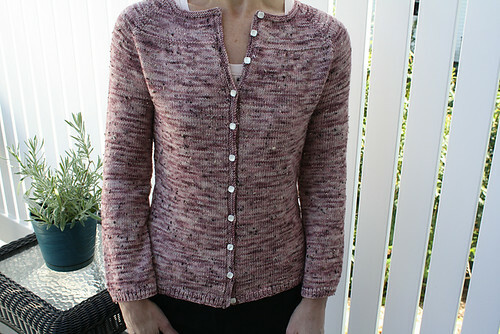 Toil and Trouble Yarn and Knitwear: Finished Knits: What you guys are making! 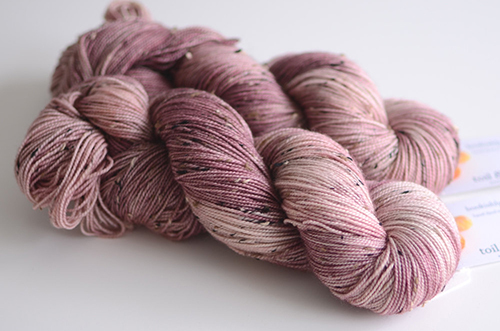 Nothing makes me happier as a yarn dyer than seeing what you wonderful folks make with my yarn. I am always blown away! 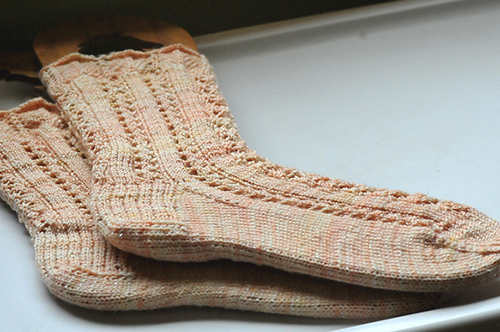 The sparkly skein above became these pretty socks! 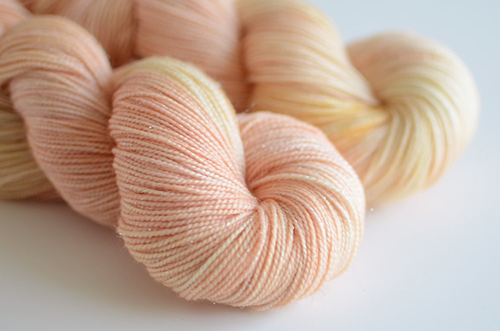 The yarn is my Sparkle Sock in Apricot Marmalade. 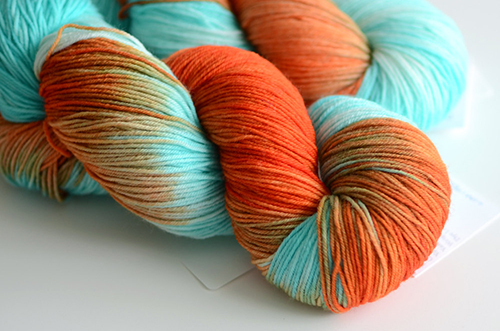 As a scarf and shawl addict I loved Katrina's Trillian, knit in my Limited Edition Falkland Merino Sock in Sun Also Rises. I am a big fan of Martina Behm's designs, so exciting! Have you knit up any of my yarn? I'd love to see! These are all gorgeous. 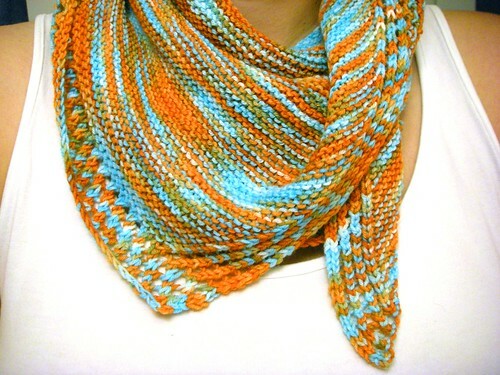 I'm trying to come up with a pattern that makes good use of the stripe length, but allows me to do something a bit big! Fantastic! Really beautifull after knitted.